The question I have for tonight is "How many goals will the Oilers be able to get past the Wild goaltenders"? I have a self serving motive however, 'I will be at the game'. With Hall out of the lineup it does look different. He is a emotional leader on the ice with his play and not only brings the fans to their feet but also serves as a motivation to his teammates. It will be a solid test tonight as the Wild will be looking for some pay back after the man handling they took just last week back in Minnesota. I believe the Predators game was in hand, and the bogus call on Ryan Jones changed the complexity of the game. It took away the emotion and charge that was created up to that point, not to mention the fight back (hard hitting) that Jones had after just being hit himself. How can a team play effective worried they will get called for penalties for clean solid hits like that? I know I hear people say our players are to small to play a hard hitting game. Yeah, we are not the Dallas Stars but didn't RNH knock Morrow out a few games just the other week with a solid return hit? If little RNH (in weight) can play a solid game and return checks, why can't the whole team? I don't mean running around hitting guys, I mean playing a solid game and returning checks and finishing checks when needed or able. It is up to this team to show their home fans what they are truly made of. This team has enough top end forward talent and decent top 4 defenceman to come out of this game with yet another win. The question remains, "Are the Edmonton Oilers for real? Or were they catching a early break on the teams in the early goings of the season?" Looks like Sam Gagner gets a sneak peek on the second line with Hemsky and Horcoff. Find it odd that Paajarvi got a one game look and unlike Rob Brown and a few other MSM, I did not feel Magnus had a bad game. In fact the play died more often on the stick of Hemsky and Horcoff. To me Magnus was the one creating early on, as the game wore on, the entire team starting looking weak everywhere. Yes, Magnus needs to do something more, but truth is, his linemates did nothing to help him against the Predators. In the meanwhile, Gagner will get a go. I like Gagner, but this guy has been given chance after chance and even when he gives up the puck, rarely do I hear the coaches analyzing his game in the media like some others. Horcoff, Hemsky, Gagner and Gilbert seem to escape the wrath of the coaching staff and management often. Not saying I am displeased with Gilbert or Horcoff this year, but the other two have not shown me anything to say they look to be a big part of the future of the Edmonton Oilers. 1.The PP has been struggling as of late but can't see them not getting a breakthrough tonight. The Oilers score on the PP. 2. Expecting to see the winning to begin again starting tonight. Big Oilers win! 4. Teubert has been looking better each game. I am really liking him in a 6 or 7 defencemen role. His icetime has slowly improved depending on the tightness of the game. Teubert with 14plus mins tonight. 5. While the Oilers may not be winning lots of games they are doing decent on defence with goals allowed. Expect to see a max of 3 goals against tonight. Tough night for the team against the Predators but hoping we see some goals being racked up by a high flying Oilers team tonight! Don't know how long Hall will be out of the line up, but to say there is no worries in Oil Country would be far stretched. 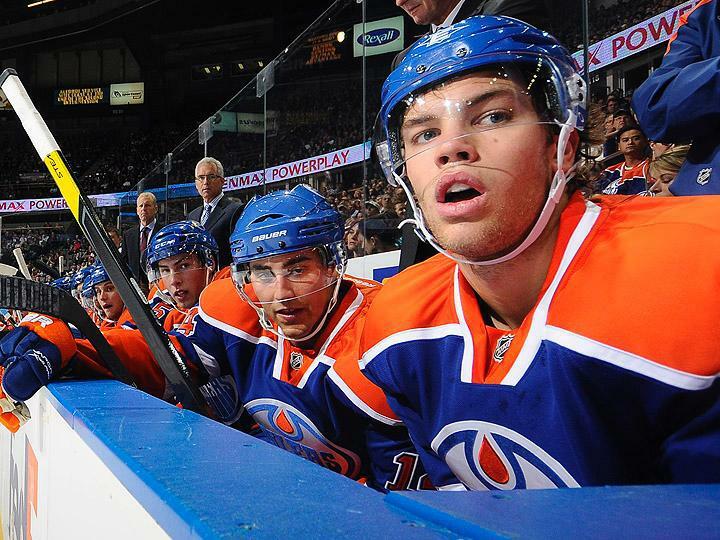 All Oil fans are hoping for a quick recovery for Taylor Hall. In the meantime, there will be a new left wing playing with Horcoff. Chances are high they will elevate Jones into that position, but for my money and thinking I would think it has to be Paajarvi. The way they are handling Magnus to this point has been a shame and will not reap any rewards at this current rate of ice time and linemates. If Paajarvi is to break out he needs the ice time and less then 11 minutes a game just wont do while playing mostly 4th line and spotted time on 3rd. Use him on the point instead of Belanger on the second unit PP as well. If the team is not going to play him in Hall's spot now, when will they play him more? I say, stop messing around and assign him to OKC for some high playing time minutes. Horcoff has been really earning his stripes this year and other then the occasional give away he has every other game, his game has vastly improved. What I don't get is all the praise the MSM gives to Shawn regarding his FO%. I will be writing a follow up blog on the Oilers and FO% again but in the meantime I would like to see Horcoff more consistent in the FO dot. Maybe it's the amount of overall ice time that is hurting his % as the season wears on. He does play top line minutes and is on the 1st unit PP and 2nd unit PK. More then he needs in this bloggers opinion. While some fans may be feeling pretty good about a win against the Predators tonight at home, remember they will look to rectify what happened last time out against us and Hall will not be out there to run havoc on their defence either. 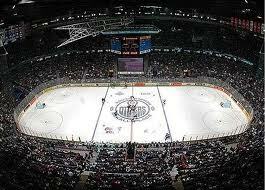 This game needs Eberle and Nugent-Hopkins to take over this game and bring Rexall to their feet. 1.This is a pretty potent PP the Oilers have so can't see them going back to back games without a goal on it. PP goal or 2 tonight. 3. 'Nuge' shut out again tonight, and at home? I don't think so, Nugent-Hopkins will get back onto the scoresheet tonight, especially knowing a win is needed to prevent another loss at this time. 4. Ryan Whitney will continue to see min 19 minutes of ice time tonight. He did look dog tired last game and made a couple mistakes but soon he will be rounding into form. Good luck Whitney! 5. The Oilers may have lost the battle last game but they won't lose this war for a playoff spot. Even without Hall tonight they will find a way to win tonight. tough night on my predictions but nonetheless, I still am sitting above the 50% mark. Was not a good game for the 'Nuge' or Eberle and the goaltending lacked anything special other then a nice save here or there. Look to get back into the winning ways tonight. Tonight, or should I say in the late afternoon (5pm Edmonton time) our beloved Edmonton Oilers take to the ice against the Avalanche of Colorado. Coming off a fresh victory on Friday afternoon against the Wild in which they "Reversed the Curse", this game will be a test of fortitude. While this team is really starting to find it's offensive stride, it is also still learning how to handle the ups and downs of NHL hockey. Today's game will be a great game to see just how focused the Oilers can be after a great big win in Minnesota. It's easy to ride the big momentum but what happens if a few bad bounces go against you? Or what if the goaltender is struggling or some bad mental errors happen and a giveaway turns into a quick couple goals? Maybe the Oilers can score a couple goals themselves to get back into the game but will they have enough to come back and stake a claim into a win? All these questions and still not enough answers as of yet. On the other hand, the Oilers have started to show signs of growth and maturity. While they did try to force the puck a couple times against the Wild, they for the most part, took what was given and tried to make the most of each opportunity. That patience paid off and then the Wild had to open the game up more and the Oilers had them playing into their own game. 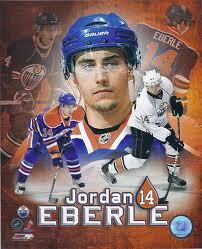 Speaking of patience, are you not amazed at how well Jordon Eberle is playing as I am? Yes, I knew he was good, but this point pace he is on, is unreal compared to what he showed last season. While Jordon is not a player who can take over a game on his own, he definitely is one of the best complimentary players in the league. Not only will the Oilers have to be careful not to be over confident but they are facing a team who did dominate the ice last time in Colorado and if not for the Oilers goaltender, it would have been a loss. Also, the Avalanche will be fighting hard for a win on home ice as that has really been their downfall this season to date. Nice to have another game earlier in the day as opposed to the Saturday late night game they so often play. With our top two lines rolling, decent goaltending and a good developing core of defencemen, I see a strong chance of the Oilers coming back to Edmonton in a real good position. 2. The Oilers have a prime chance to return back to Edmonton, sitting real pretty. Renney and his staff has really been doing a good job keeping these guys focused and working within a system. Another Oilers win tonight is looking good. 4. Ryan Whitney was brought along nicely in second pairing minutes and will probably see a slight increase in mins if all goes well. Time to see Whitney hit min 18 minutes ice time tonight. wow! Went 5 for 5 on the predictions in that Wild game. Talk about reversing the curse. Hope to see those predictions above hold true for tonight as well. Next goal would be to see my predictions be at 60% or better. Time to pull out the jersey's, throw them on, order your pizza and open up a cold one. 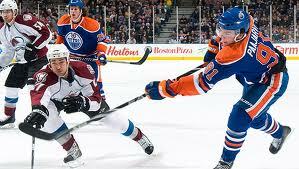 Today the Edmonton Oilers take on their dreaded rivals, the Wild in a afternoon affair. Got to say, I like the idea of a early game when it is played on a Friday as it leaves you with lots of time to still go out and do what you want for the night, in the meantime it also allows the Oilers to head over a few states to get a little bit of rest before their game against the Avalance on Saturday. Can't tell you why, but I believe this will be a game that is not a 2-1 win for either team. Call it a hunch or whatever, but the law of odds says that eventually there will be some higher scoring games when the Wild are involved. After listening to some comments from the players and from the coaching staff, I think the boys are going to be mentally prepared, so if there is any noticeable mistakes being made, it will likely call from the back end more then the forwards. If the Oilers play a patient game, they can capitalize more on the PP. It's important that the forwards don't try to play lone ranger tonight and try to over handle the puck on their own and also stay away from trying too many long outlet passes that end up in bad giveaways in the neutral zone. Should be a fun afternoon for Oiler fans everywhere. Let's all enjoy every moment we can and take in that beautiful aroma called 'winning'. Don't fail me now Oil! Go Oilers! 1. 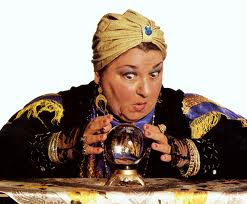 I can see the Oilers good fortune continuing today on the PP. The Oilers will score on the PP today. 2. As much as I would like to predict the Oilers Lose this game (only so they can prove me wrong again and win) I can not swallow saying that on this post. The Oilers will win. Why? Because they are getting hungrier for wins and want to end this dreaded streak the media and fans talk about. Not to mention, any team hates losing to the same team over and over. They have a agenda...win! 3. A RYAN will score a goal tonight. I know, what a dumb prediction, we have a few Ryan's. But I did say a goal, not a point. Ryan Whitney, Ryan Smyth, Ryan Jones or Ryan Nugent-Hopkins don't let me down. What I really want is for a few Ryan's to score. 5. Everytime I think I have figured out how many mins Teubert will get to play, Renney goes and plays him opposite. I pick low, he plays high, I pick high, he plays low. Today I am going to say Teubert should be playing 13+ minutes of total ice time. It will be interesting to see if the boys play the patient game of hockey Renney has been saying in practice is the plan. If they do, this could be a big win for me in my prediction counter. I can not even count the number of times I hear of "hockey" players acting like being sent to the AHL is some kind of demotion. Granted there are many who do not complain or grumble but at the same time there does tend to be this 'misconception' that playing in the AHL is looked at as being demoted from the big leagues. Is it possible, people (Main Stream Media, Bloggers and Fans) can be misrepresenting the real purpose of the AHL? As these young prospects (from the picture above) wrapped up summer development camp in Sherwood Park, several were sent to OKC in September and a couple to Stocton. While many went back to jr hockey and or college, the remainder prepared for their next step in the AHL and the ECHL. 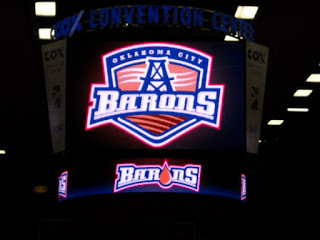 In the case of these young players, those who went to the Stockton Thunder of the ECHL or the OKC Barons of the AHL , they were estatic and looking forward to the next step of their hockey development, towards the goal of being a NHL full time player some day. 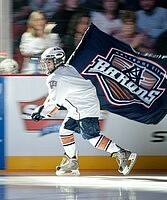 The ECHL (formerly the East Coast Hockey League) is a mid-level professional ice hockey league .. 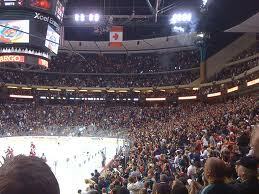 It is generally regarded as a tier below the American Hockey League. So I think that we can all agree, both the ECHL and AHL are considered development leagues. With the fact, that 469 players have graduated from the ECHL to the NHL, I think we can all agree that this league has been serving us hockey fans well also. This year, due to a over abundance of talent, Stockton has been carrying some higher level talent then in past years. Milan Kytnar has spent time there. 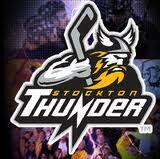 Ryan Martindale, Cameron Abney and Olivier Roy have been honing their games in Stockton as well, just to name a few. 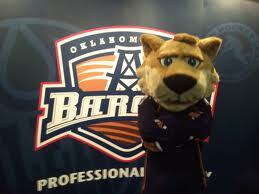 Dubynk spent some time with the Thunder not long ago and seems to be tracking well with the Oilers as of late. To say these players have been or were 'Demoted' to a lower league would be inaccurate. These players were sent for a variety of reasons but all the reasons come back to one word. 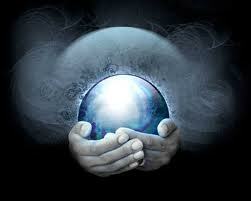 "Development"
Development can appear like a demotion to some, when in fact, it is all about development. Players are not sent to a AHL team or a ECHL team to be buried and just provide local entertainment for their hockey fans. Players can be sent to the AHL or ECHL for the purpose of conditioning, or working on parts of their game that need adjusted and tweeked at the NHL level. To say a player has failed or is no longer NHL calibre because they have been reassigned to a AHL or ECHL team would be inaccurate. Now, if that said player does not develop upon being assigned, there is a good chance they will either be traded or just let go as a free agent. I know some have been concerned with us sending down to OKC a few of our current players and even some at the end of training camp. Hartikanen was one, many wanted to see stay with the Oilers out of training camp but for his development the Management and coaches felt they wanted to see him play higher minutes rather then play limited time up in Edmonton. Brule was sent down to further develop his game (even though some want to argue it is a demotion for how bad he has played). Truth is, Brule needed to work and develop on area's of his game and that could only be done in the AHL. Petry, Teubert, Plante, Chorney have all been up and down in this crazy phase of development but in some cases it is only for a short stay not a long one. The problem the AHL and ECHL have is 'Winning' can become secondary to development. In some cases, fan support depends on providing a high quality of talent and not just grabbing the best players and moving them up, just because they are playing good. It's all about 'seasoning' and here is hoping the Oilers organization learns how to 'season' their players with the best of them! 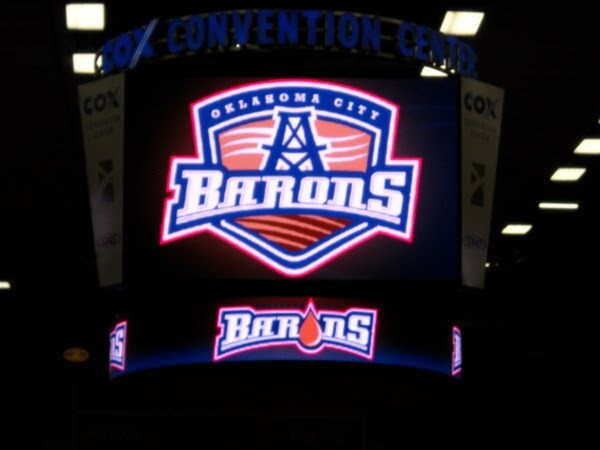 Currently there is discussion if Lander or Paajarvi will see some time in OKC with the Barons. They may, or they may not at all. All I can say is, if they do get sent to OKC, it will be for development not because they are being demoted due to bad play. All players, learn and develop differently. If those two are to play in OKC, I say 'enjoy them Oklahoma', cause they won't be in OKC very long! With how this season has started for some players, you would think Edmonton Oilers coach Tom Renney would simply create the Desperation line out of... well, desperation. The Oil have three players who really need to get the offence going. So why not make them play together? It's not like they are contributing on any other line. On left wing I'd put Magnus Paajarvi. He needs to get it going like no other Oiler and perhaps a solid set line is what he might need to find some chemistry and rhythm. I like Paajarvi and I think he needs sone help. He's not a "throw away" player like some suggest. Next, I'd put Sam Gagner at center. He's his best when patrolling center ice and he's at the point of his career where he's got to take the bull by the horns. He's starting to show it now with his fight last night. He always picks it up after dropping the gloves. 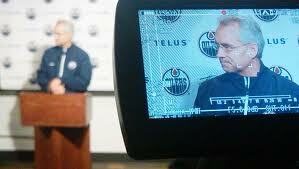 Paajarvi will benefit from Gagner's leadership and skills. These two together could be dangerous. Lastly, I'd have Anton Lander on right wing. While he has been playing pretty good (at center), a little offence would give him that added piece of confidence. 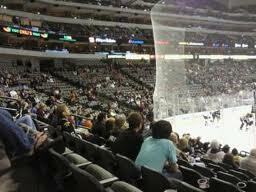 Lander can, and probably would mesh well with Paajarvi. This line can help both find the goal sheet if given a solid chance together. The other bonus to having Lander on this line? Faceoffs. If Gagner is booted out, Lander can take the draw. Win-win for this line. So there you have it. The Desperation line. Oilers 2012 Draft Watch "Matthew Dumba"
Today we examine the #6 ranked player from REVS 2012 Prospects List . Each player is unique in their own right and full of talent. The ranking does not reflect a mock draft of who a team may actually pick but rather who I would place as the best player available in that spot. Matthew Dumba is a strong and very swift skater who has a big shot and a uncanny ability for delivering open-ice hits with his six-foot, 172-pound frame. Scouts are very impressed with his lateral movement and the physical element of his game. Dumba can run a powerplay well, which will bode well for some teams. Dumba has a hard and accurate shot that he gets through to the net consistently and his puck control is top notch. Dumba like his friend and former teammate Ryan Nugent-Hopkins also won the WHL Rookie of the Year. Dumba was absolutely lights out at the 2011 World Under-17 Hockey Challenge, where he led all scorers with 12 points in 6 games, en route to leading Team Pacific to a bronze medal. In 2008-09, in his last season of bantam with the AMBHL’s Calgary Bronks, he racked up an outstanding 20 goals and 38 points through 33 games. Congrats to Edmonton Oilers goaltending prospect Olivier Roy, as he has earned his way to the ECHL goaltender of the week. Here is the ECHL news article about Olivier Roy. 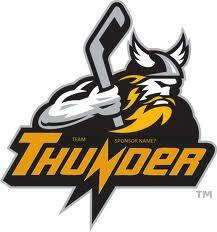 PRINCETON, N.J. – Olivier Roy of the Stockton Thunder is the Reebok Hockey ECHL Goaltender of the Week for Nov. 14-20. The 20-year-old was 2-0-0 with a goals against average of 1.50 and a save percentage of .959 in two victories over Ontario last week as the Thunder impoved to 7-4-3 on the season. Roy made 40 saves in a 3-2 win against the Reign on Friday to earn his first ECHL win and followed that up with 30 saves in a 3-1 victory on Saturday. A native of Causapscal, Quebec, Roy is 2-3-3 with one shutout, a 2.32 goals-against average and a save percentage of .925 in eight appearances with the Thunder this season. Selected in the fifth round (133rd overall) by the Edmonton Oilers in the 2009 NHL Entry Draft, Roy represented Canada at the 2011 World Junior Hockey Championships. He appeared in 200 games in the Quebec Major Junior Hockey League with Cape Breton and Acadie-Bathurst going 123-57-8 with 14 shutouts, a 2.77 goals-against average and a save percentage of .906. 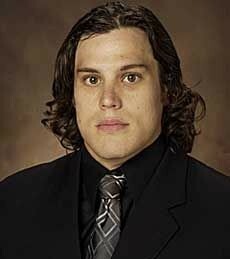 Roy was named to the Canadian Hockey League All-Rookie Team and received the QMJHL Rookie of the Year award in 2007-08. He made his professional debut with Springfield of the AHL in 2009-10 posting a 1-1-0 record in three appearances with a 2.57 goals-against average and a .913 save percentage." 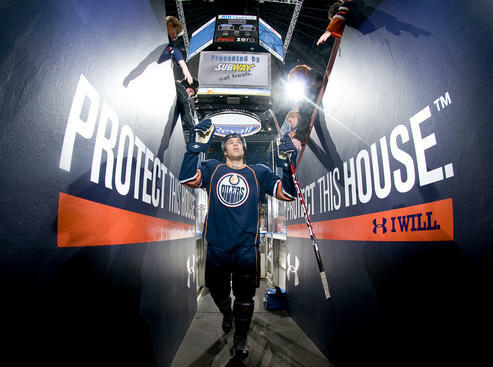 Not sure what it is about these Edmonton Oilers but they sure look different between home and away games. I know there is the difference of the last minute line change, the advantage in the faceoff circle or even the rowdy crowds you have to face that motivate the home team. In the case of last night, the Oilers won the faceoff battle and the crowd was a non factor with less then the 10,000 announced in sales. Were they over confident against the Stars? Were they tired? No idea other then guessing but let's hope they can reset the game plan and get back on the rails. Tonight they play another team who likes to forecheck, will clog up the neutral ice and not give you lots of room. As well their goalies are top end. The Oilers will need to be firing on all cylinders tonight if they want to pick up a big win in Nashville. They will not win a defensive battle against the Predators with their MASH unit on defence.Not to mention the Predators will be looking to avenge their earlier loss in Edmonton and show the home crowd they are a better team then they were on the road that day. The only thing you have to wonder, can Renney out coach the Predators and my answer would be...'are you crazy?' Not Barry Trotz teams, the guy is becoming a coaching legend. Here is hoping this team hits the Nitro boosters tonight and pots 3 or more goals. One last note before the predictions for tonight. I myself would not have messed with a winning lineup in the Case of Eager and Paajarvi. I understand time on ice is a currency for the coach to get players on track but if that's the case why play Gagner over Paajarvi? Gagner has played ok but is a turnover machine that has led to goals on his end, the play will die by his hands many times and while Paajarvi does need to create more scoring chances, he doesn't leak chances the other way. If you ask me, there is a show casing going on. Either that is happening or it is looking like they are closing a eye to the many mistakes Gagner is making on the ice each game. 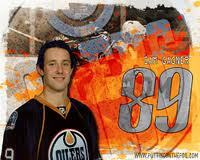 For the sake of Gagner and the Oilers organization, let's hope he starts to put up some points real soon. Hoping we see Paajarvi back in the lineup tonight, maybe even in the place of Darcy? The truth probably is, this team is so young we will see inconsistencies throughout their games. All I can say is...."Bring on those dreaded Predators!" 1. There has been very little fights this year with the Oilers but their speed has helped them get on the PP more often then not. I am going to say they will head to the PP with at least 4 opportunities throughout the night. 4. RNH continues to grow in his FO% from earlier in the season. I will be posting the FO% after this road trip to compare to his earlier % and also look at him and Horcoff's comparison's once again. Tonight RNH will continue to be 40% or better. I actually think it will be 50% or better but that's my hopeful thinking. 5. Because I love to follow prospects I will continue on the minutes range Teubert is playing. Judging by the last couple games, if this is a tight fought game his mins will be limited but if it is a more open game in favour of the Oil , his mins will be up there. It looks to me like they are trying to build his confidence and shelter him with easier mins like they did RNH in the earlier games. That probably shows they like his game and don't mind bringing him along slowly. Tonight will be a tough game so let's say he stays within the 13 minute maximum. Not sure exactly why Teubert was given so little ice time this game compared to last, yet this was a game where he delivered several checks without taking himself out of position , not to mention he played the man tough on the boards. Peckham does that as well, but takes himself out of position often. RNH continues to grow in winning draws and Belanger continues to arrow down, even though he did make the low grade I needed for my prediction. 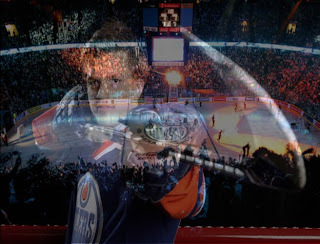 Go figure, I start to think the Oilers are falling back down to earth and they have a historic night with Hall with a Hat Trick, Eberle with a Goal and 3 assists and the 'Nuge' comes out with a record 5 assists, the youngest 18 year old to now hold that record distinction. A true test for the Oilers will be to see if they continue to get back on the path they were early, or will they fall right back down again. The Dallas Stars have been a hurting team as of late. If there was ever a time for the Oilers to Capitalize, the time is now. 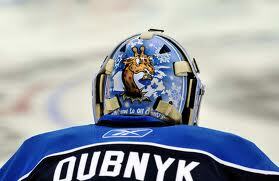 With back to back games obviously Dubynk will get one of the starts in net. I myself would run with Khabby tonight. Should he play well, I would still ride the hot hand. Sure, I know, the development plan did not call for that but on the other hand, they don't seem to be following the development plan in every case anyway. If your playing for wins, then go out and give yourself the best chance to win. I really don't think they thought they would be able to play this well, so early yet. Sure they will still have some games that they leak real bad. IMO, this team is vastly improved because of a huge factor called Ryan Nugent-Hopkins. Not because as a 18 year old he can score points. It's because this guy makes others better around him, he saves plays, knows where to be on the ice at all times and steals pucks like he is stealing Grandma's cookies off the Fridge, 'with ease and elequence'. That pivot spot in the middle is vital to the success of team's and the Oilers are no different. This team will look to discover one more gem at Centre I believe in the draft to solidify that position for the many years ahead. Of course they can pick a defenceman still, but there are 2 Centremen I believe they would grab before picking a defenceman because it is just that important as you can see with RNH, who knows truly how to play centre in every aspect and he is only 18 years old. Winds are swirling amid trade talk and it is really starting to heat up. If you follow and believe in Ken Holland of the Detroit Red Wings you will know he believes what you see at the 20 game mark is a close picture of what kind of team your icing for the rest of the year. So far? I think you will have a team competing for a playoff spot. 1. Belanger will not be happy about his poor FO% against Chicago, expect him to rebound with 52% or better. 2. The Oilers begin a new streak (I have learnt to not bet against them) just that this time it will be a win streak they try to build on once again. 3. RNH has some real confidence brewing now and even on the road. Seeing Dallas has been struggling some more recently, look to see RNH continue tonight with a point or more on the score sheet. 4. RNH did well in the FO% again the other night but being on the road and against a better disciplined core he will be in tough. Will hold his head once again to a min 40% however. 5. Teubert played more minutes then I expected last game and with being a road game will likely get caught out there with Dallas having some last line changes forcing the issue if they can. Over 12 minutes will be played for 2nd straight game. Was glad the Oilers decided to prove some of my predictions wrong in the ol' win column as well as Goals allowed. Surprised Teubert received more then 12 minutes playing time, but unlike some others, I did not think he looked like a fish out of water. A couple small mistakes but for his 3rd game ever in the NHL he hung in there well enough. Here is hoping the friendly confines of Rexall Place will give the added boost of energy that is so badly needed in this young Oilers team. After suffering 4 straight losses, the question for many a Oiler fan is 'How long will this streak continue'? As has been said by several already, this team was probably not as good as they looked when sitting in 1st or 2nd place in the Western Conference. However, they are probably not as bad as they have looked during this 4 game losing streak either. We can pick away at what we see as faults or use excuses for why the Oilers are struggling along, but what we can't do? We can't MAKE them win games! Some decisions are still puzzling to me. I am still hearing the right words being said...(ie: This is more about development, more about process, the larger body of work) but not seeing that action being applied in practical terms on ice. Khabby gets the start tonight in goal. That is fine by me, but what about Dubynk? What happened to getting him more playing time this year in a very important development year for him? I can see it, when Khabby is standing on his head winning these games by himself. Has Renney seen Khabby the last 3 starts? Excuse the one bad game against the sens and the last 2 before were not all that outstanding either. Sure Dubynk in relief let in 1 soft goal of the two but c'mon! He has gotten very little ice time and it's not like Khabby plays so well against Chicago that he will give you that much of a chance at this time. If you ask me, they believe they need to end the losing streak now and feel Khabby gives them the better chance. Granted, may make sense, but it's a bloody development year. I don't mind losing if it is a part of the development. At least give Dubynk the chance to fail. And what's it say to sit Petrell and leave Eager in? Who now plays Petrell's spot on the PK? Eager? I don't think so. This whole thing is really messed up. On the other hand, it's not like Tambo has tied Renney's hands when it comes to a fully stacked line up. Or has he? A big question on defence is if Tambo will find a way to make a trade and bring some veteran experience in to help on the blueline. Maybe not a 1-2 top pairing but even one 3-4 top defenceman would be good. I know many MSM have continuously said trades are difficult to make this early on but I would like to challenge that. Trades for the Oilers are usually really hard to make at any time, including the trade deadline. Countless times, I hear how something can not be done and then it happens. If other GM's can do it, so can the Oilers. It takes risk and creativity. Doing the same thing will bring the same result...yup...further loses. Maybe that is the plan after all? Fail for Nail? (Nope, Columbus will be one up on us for that one.) Finally a second top Centerman in Grigorenko who has speed, size and world class talent in the likes of Malkin? Want a defenceman? How about the highly touted Ryan Murray who is a world class mobile puck mover and could possibly fill that top 2 defenceman role one day? 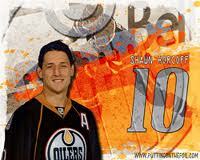 Or even better yet, what about Dumba, former team mate of RNH? The Riverboat Gambler would be the second coming of Paul Coffey with a mean edge? Obviously no draft pick will help us feel good about losing and doing nothing but should the Oilers make no moves on the blueline this season other then development and call ups, one would have to start really thinking that management could use the loss of their d-corps as a reason for tanking once again this year. All that said, I just want to start seeing some goals getting scored in bunches. I miss the constant barrage of shots we see in patches from these young oilers and the subsequent goals that can go with those shots. I want exciting hockey! 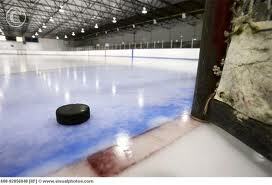 I want to see intensity, a never say never spirit out there on the ice. Oh yeah, were playing the Chicago Blackhawks, chances are good we will see that happen, but most likely not from the Oilers but from the Blackhawks. In the end, I hope the Oilers come out strong and prove me wrong. In the mean time, I am looking forward to seeing the boys take another crack at this elite team who the Flamers just burnt last night. If Calgary can do it, I say so can the Oilers. C'mon Edmonton, let's throw some Oil on the Fire! 1. Oil fans are gonna hate on me, but I can't see the Blackhawks being limited to less then 3 goals tonight by the Oilers. Chicago with min 3 goals against the Oil. 2. The Oilers will be in tough to stop a 4 game losing streak. The streak continues, but am praying I am wrong. 3. RNH was getting the early opportunities last game, being on home ice with line matches Renney likes, should see him back on the scoresheet once again. 4. RNH also continues to grow in the FO dot with another night where he has 40% or better success. 5. Teubert will be aiming to show the coaches that the 2 game stint on his last call up was not just a one time thing. I expect a decent game again, keeping the play fairly simple but will be limited to within 12 minutes max ice time this game. My predictions sound like a Oiler fan who seems deflated. Maybe just too many times believing the best and seeing the worst of a team makes you hard and skeptical. Unfortunately, until I see otherwise, I don't see the Oilers faring well against the top teams in the NHL. Now go ahead Oil! Prove me wrong! I fully expect my self appointed '106' Line of Hall, Nugent-Hopkins and Eberle to come out tonight, with all guns blazing. Renney will be line matching again tonight being at home and these young guns will have prime opportunities to put some points up on the board. As mentioned in my post last night , I will be watching closely on RNH and his zone faceoffs as well as his % when on the PP. Hoping maybe Renney looks somewhat into the stats and demises it may be time to remove Horcoff off the 1st unit PP. Potter has somewhat come down to earth the last few games, or was that more so the fact he was playing the NHL elite? Maybe a bit of both. Either way, I expect to see a revitalized Potter out there with the rest of the defence core, manning the blueline like champs once again. 1. I am sure Renney has been working on the defensive lapses that seemed to take place in the last few games so I fully expect a much better defensive effort between the defence and the Goaltender. 3 Goal maximum will be all the chances the Oilers will give to the Senators. 2. The Oilers have a perfect chance to get back onto their winning way. The Sens leak chances, the Oil have done well at home with line matching. Oilers pick up the win tonight. 3. Hall has been fighting it, but this is a home game and against a team that does allow goals more often then not. Hall will be on the score sheet once again tonight. 4. RNH fared well in facing tougher FO competition on the road, so with last stick in the dot, here is hoping he is able to continue the growing curve. 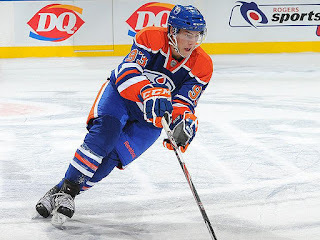 Prediction is for RNH to finish the night 40% or better in his limited opportunities. 5. How long can you keep Mr. Smyth off the score sheet? I say, he gets another point up on the ol' stat sheet again tonight. Well, last game I really thought Paajarvi would get more then 10 minutes ice time. Finding that the game was a poor defensive showing by the Oilers Paajarvi at least was not leaking chances. He deserved more time to me. Horcoff continues to be a disappointment to me in the FO circle. Oilers 2012 NHL Draft Watch "Morgan Reilly"
Can This Be For Real? Is This A Dream? Oilers 2012 NHL Draft Watch "Alex Galchenyuk"